Internal audit departments are being asked to do more with less resources, budget and time. Managing an expanded scope, regulatory changes and general malaise when it comes to internal controls in the upcoming year leaves internal auditors with the need to work smarter and optimize existing resources. 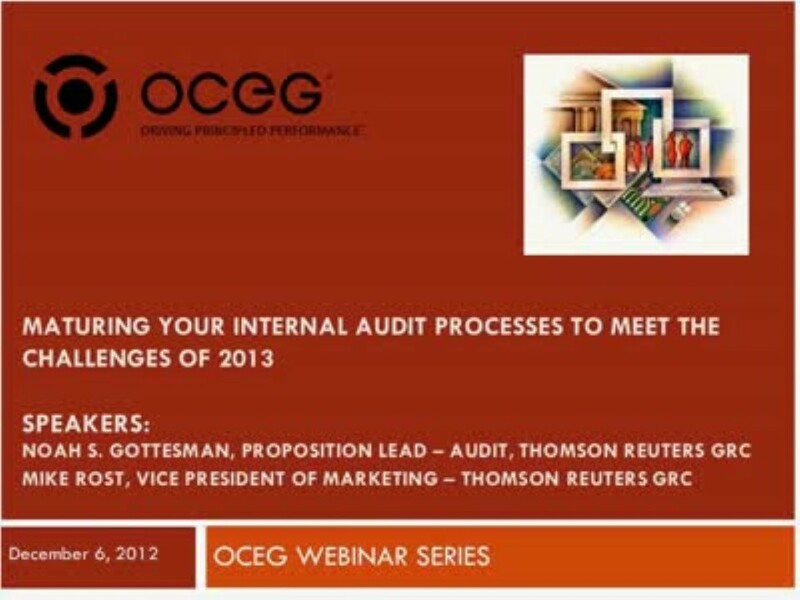 We have emailed instructions to access Maturing Your Internal Audit Processes to Meet the Challenges of 2013 to . Make sure the email arrives in your inbox: either add "support@oceg.org" as a safe sender to your email platform, or if you use Gmail, drag our email into your Primary tab.